ASEBA-PC software makes it easy to manage data obtained with ASEBA forms. Modules are available for preschool forms (CBCL/1½-5-LDS, C-TRF/1½-5), school-age forms (CBCL/6-18, TRF/6-18, YSR/11-18), adult forms (ABCL/18-59, ASR/18-59), and older adult forms (OABCL/60-90+, OASR/60-90+). The MFAM enables you to enter, score, and compare data from the CBCL/6-18, TRF, YSR, ASR, and ABCL, with multicultural options. 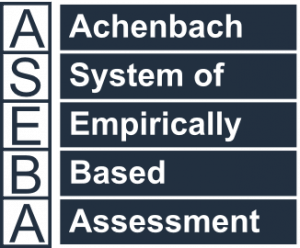 ASEBA-PC creates easy-to-read profiles of normed scale scores and narrative reports exportable to screen, printer, TIFF, and PDF files, including A4 and U.S. paper sizes. ASEBA-PC has multicultural options for ages 1½-5, 6-18, 18-59, and the MFAM. Data entered via ASEBA-Web can be imported into ASEBA-PC for unlimited free scoring. ASEBA-PC can also be used on Macintosh computers with computer virtualization software such as Bootcamp, Parallels, and VMware. Requires a minimum of 1 GB RAM and 1 GB free hard drive space. ASEBA-PC is easy to implement in a HIPAA-compliant system when used with passwords. ASEBA-PC is a single-user / single installation license. Call for discounts on multiple copies of ASEBA-PC. In contrast, ASEBA-Network allows multiple users to share a single installation of ASEBA-Network on an intranet server. ASEBA-Network also supports Wide Area Networks (WAN). Data from our discontinued ADM product may be imported to ASEBA-PC (Procedures).